Notonthehighstreet.com brings together over 2,500 independent small UK businesses that sell over 45,000 products. it's like etsy but a little more uniform in postage prices and return policy because you buy through one checkout rather than from the individual seller. Each business has been chosen by notonthehighstreet.com based on style, quality and originality. I was given a budget of £50 to spend on the site and I was excited to get a nice print for my bedroom as I knew that notonthehighstreet.com sold some lovely and unique homeware. When I took a good look at the website I was suprised to find out that they also sell clothes. The dress is by a brand called Rise who I had not heard of before but I've now got my eyes on a few of their pretty last and embellished dresses. The dress fits wonderfully and the lace is soft and not scratchy at all. It's a lovely light dress even with a jersey slip underneath. It was delivered very quickly and arrived wrapped in lovely pink tissue paper. There are some great dresses on the site with a vintage feel, plenty of tea dresses and 50s shapes, all perfect for a special occasion. 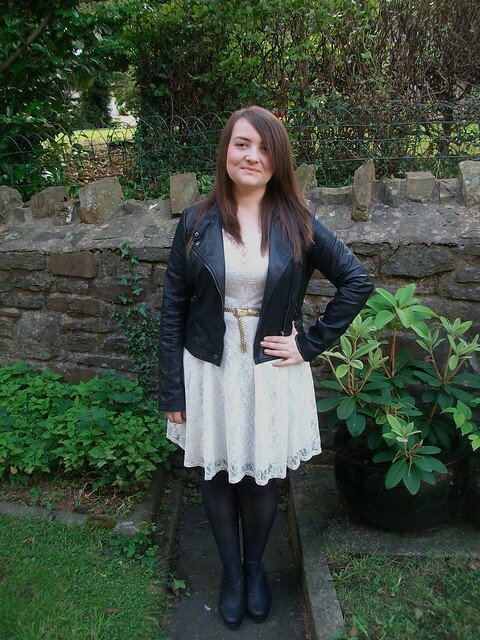 I paired the dress with my trusty Topshop biker jacket and daisystreet allegra style boots. My final pick was a print which I hope to get framed for my bedroom. I'm a huge Ben Whishaw fan and I adored the film he starred in called Bright Star about the poet John Keats. The film prompted me to read his poetry and I'm now more than a little in love. There are so many gorgeous prints to chose from on the site and lots of them can be customised to make great gifts or remind you of a special day. I think notonthehigstreet.com cuts out a lot of the hard work for you as it searches for the best sellers to include on their site and they have so many products available. Do you try and buy from independent retailers? The dress looks lovely and goes perfectly with your leather jacket! I've used not on the highstreet before, they do have a great selection of gift ideas! Love this dress & jacket combination :) I've never been on this website, but think I might have to have a look. Adore the outfit you put together! 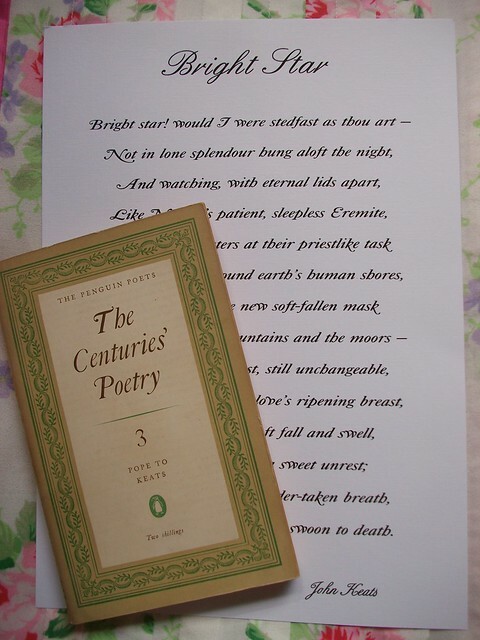 After seeing Bright Star I read Keats for the first time, and his poetry is just amazing. Did you see Ben in Richard II? i could spend hours trawling through notonthehighstreet, absolutely love it! I love the dress, I've been dying to find the perfect little white lace dress for a long time now. I'm checking out the website now (and crossing my fingers that they ship to the states). I haven't gotten around to watching 'Bright Star' yet, I had this feeling it would make me cry so I kept avoiding it. That is a good deal. I like your dress. This sounds amazing, I love the dress on you and the print is so pretty! That dress is lovely, I never realised they did clothes either??? I do love their house bits though, could spend all day on that website! That dress looks absolutely gorgeous with the jacket. I've seen a similar one by River Island - if only I wasn't so broke right now I'd buy it. Great blog! I love notonthehighstreet, I often visit it for gift ideas. I didn't realise they did clothes though! Will have to pay them another visit! sounds like a dangerous but excellent website! 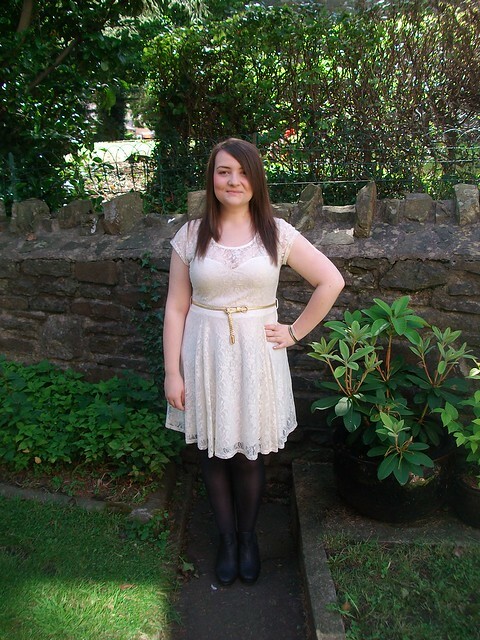 That dress was a perfect choice for you, it looks so pretty!